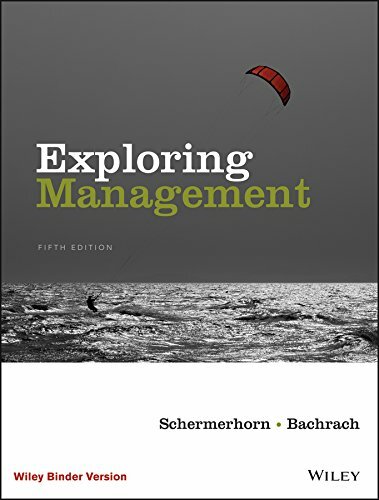 1119117747 – Exploring Management, Binder Ready Version by John R. Schermerhorn Jr.
1119117747 –This text is an unbound, three hole punched version.Access to WileyPLUS sold separately. Exploring Management supports teaching and learning of core management concepts by presenting material in a straight-forward, conversational style with a strong emphasis on application. With a focus on currency, high-interest examples and pedagogy that encourages critical thinking and personal reflection, this text is the perfect balance between what students need and what instructors want. Author: John R. Schermerhorn Jr.